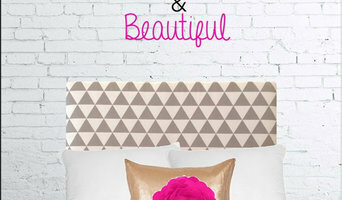 We are a dorm decor company specializing in dorm room headboards and bedding packages. Our headboards are made specifically for a dorm room, so they are light enough to hang on a wall or easily wedged between a mattress and bed frame. Sleepworld has over 60 years of experience in handcrafted bedding, mattresses, and custom furniture upholstery. It is one of the most prominent mattress stores in Edmond, OK and it was founded by a dedicated entrepreneur who was committed to bringing the highest quality products to customers. Since 1992, we have reconditioned thousands of bathtubs, always dedicated to providing complete services tailored to the needs of each of our customers. We assured the quality at a fair price, we invested in people and equipments, so for each reconditioning work is granted. Whether you’re looking for the latest in bath accessories and products or hunting for luxurious custom bedding, you’ll find a wide range of Edmond, OK bedding and bath manufacturers and retailers on our Professionals pages. One of the most common problems in bathrooms is lack of storage space. Buying a bathroom vanity at your local building supply store may be the answer, but for more challenging storage solutions, you’ll want to contact an Edmond, OK bedding and bath manufacturer or retailer that specializes in custom storage options and unique bathroom furniture and accessories. From heated towel bars to shower curtains, use the Houzz Professionals listings to find Edmond, OK bedding and bath retailers with budget-friendly bathware and modern bath accessories. Some bathroom remodelers specialize in affordable equipment like grab bars, safety tubs and showers and other bathroom accessories designed for those with different physical needs. Does your bathroom need converting or upgrading for special needs? Is it time to wake up your master bedroom with some new bed linens? Since that very first white sale in Philadelphia’s John Wanamaker and Co. department store in 1878, January has always been a good month to buy bed linens. Those looking for hand-crafted custom bedding and draperies can find an Edmond, OK company that makes and sells quality bed products. Many bed and bath retail outlets sell a smaller selection of exclusive brands.